Spring’s not quite here yet, but don’t let that stop you from enjoying the great outdoors. 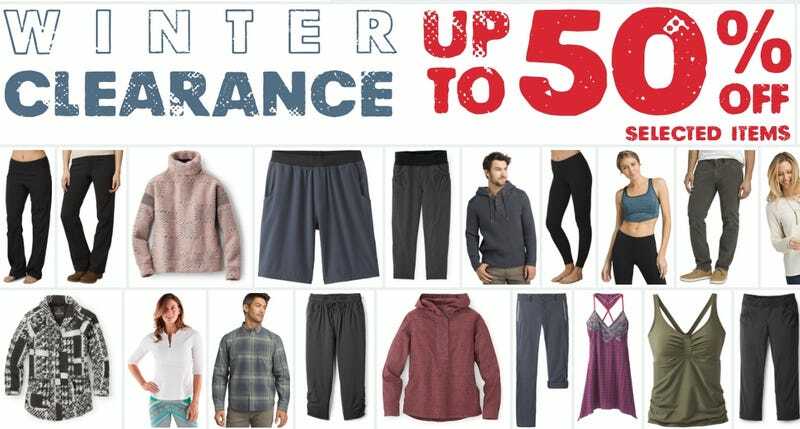 All the more reason to get some fresh air sooner rather than later: REI is taking up to 50% off a wide range of camping gear, outerwear, winter boots, and other footwear. If you want to stack even more savings, REI Outlet is running a similarly huge sale as well. A lot of items are only available in limited colors or sizes, but you can score some seriously great deals there. Gather your gear of choice quickly, though; like the cold, this sale won’t last much longer. Grab a Nike Breathe Hyper Dry tee for just $24, Patagonia’s eco-friendly Silent Down jacket, a new pair of premium Smartwool socks, a fan-driven BioLite camp stove, or check out all the deals from these popular brands. That’s really just the tip of the iceberg though. There are thousands of deals from hundreds of brands, and you can find them all here. There&apos;s "Eco-Friendly" Gear and Eco-Friendly Gear. This Is the Latter.